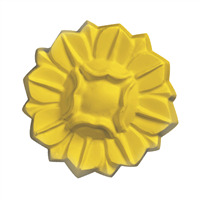 "Super cute mold for gardener's soap!" 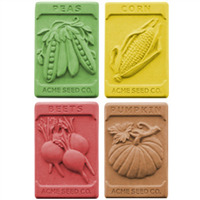 COMMENTS: I bought these a while ago and used them to make gardener's soap and I love them! They're super cute and were easy to unmold. 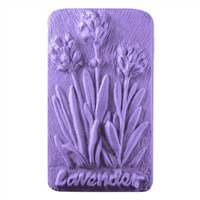 COMMENTS: I have used this mold for cp soap a number of times now with great success. The detail work on the mold makes the soaps adorable. 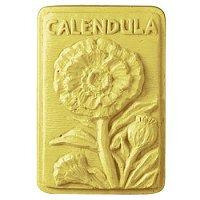 I developed a hard soap recipe to use with these molds to ensure the detail comes through on the soap. I am looking forward to bringing these out at the big expo shows for the holiday season this year. I know they will be great sellers! COMMENTS: I used these over the summer to make gardeners soap...I added poppy seeds for exfoliating. Turned out super nice! COMMENTS: I just love the look of this mold. The soaps come out easily. I haven't painted the flowers with mica yet, but they will look amazing once I do! COMMENTS: Lovely mold, wish wording didn't show on finished products. COMMENTS: So many ways to use this mold. 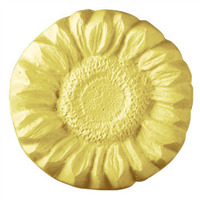 Either in one solid color, or accent the flowers etc with added colors to bring out the highlights in the details of the mold. COMMENTS: I love the great detail of this mold and I used coordinating fragrances for each one and customers really love them. COMMENTS: I will probably order more of these for the Spring. Easy to release the soap. Cute design. COMMENTS: Nice mold. Pipes well with a dropper. Nice detail. "What size soap do these molds make?" Staff Answer The dimensions of each cavity are 3.5" x 2.25" x .75"